One of my favorite times of the year is fall and winter! I love the smell of the air, the leaves changing colors, hot chocolate, the blanket of snow that covers the earth and makes everything look so peaceful and calm, and of course Thanksgiving and Christmas! I, however, do not like the cold and driving in the snow or ice. The reason I love Thanksgiving and Christmas so much is because I get to spend time with almost every member of this large extended family I have and let’s be honest the food is pretty great with these two Holidays as well! Since it is almost Thanksgiving, we will focus on that, and then as we approach Christmas I will get around to sharing about that topic! Thanksgiving has always been an important and fun time as I’ve grown up. When I was younger, my brother, Brandyn and I would spend the night at my grandparents house, and we would help my grandpa make homemade chicken and noodles the night before! This was a tradition to spend the night and help make the dough for the noodles, roll it all out on the counter, and then watch my grandpa cut it into noodles. We loved getting to help and looked forward to it every year. As I have gotten older and have a family of my own, I’m no longer able to keep up that tradition and my grandpa isn’t able to do it by himself because it’s too much work for him at his age. I will always carry that tradition in my heart and maybe some day I will be able to make those noodles on my own with my daughter! We have always had Thanksgiving at my grandparents house, but starting last year my older brother, Jordan had Thanksgiving at his house since my grandparents are older now and have a hard time making a meal that big for everyone. We were going to do that again this year, but things changed and Jordan isn’t able to have it at his house this year therefore I am taking over and having Thanksgiving at my house! A couple years ago I did Christmas at my house, but I haven’t gotten the chance to do Thanksgiving so I jumped at the opportunity! I love cooking for my family and being able to keep up some of the food traditions, we have had on Thanksgiving, that I learned from my grandma. I am the only daughter and the youngest out of my brothers so I always was in the kitchen with my grandma and grandpa learning and helping cook meals. I’m very thankful I payed attention to how my grandma cooked our favorite side dishes because now I can make those dishes on my own and incorporate those into our dinner. So this Thanksgiving I am taking over and I am very excited! I can not wait to have everyone at my house to make memories and share a great meal together! My favorite foods to eat on Thanksgiving include: Turkey, cheesy peas, mashed potatoes, rolls, and my all time favorite sweet potatoes, and let’s not forget pumpkin pie, pecan pie, and chocolate silk pie! What is your Thanksgiving like? Are there any traditions that are passed on or continued? What is your favorite dishes to enjoy on this Holiday? 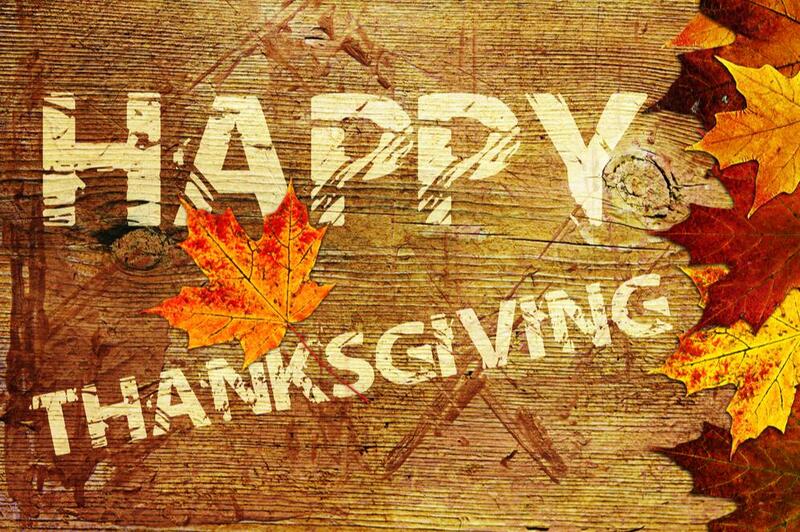 Hope everyone has a safe and wonderful Thanksgiving!